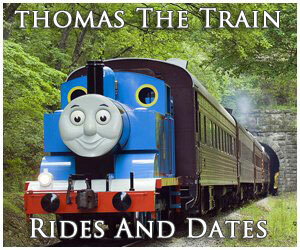 If you are interested in Utah train rides visit the Heber Valley Railroad in Heber City. 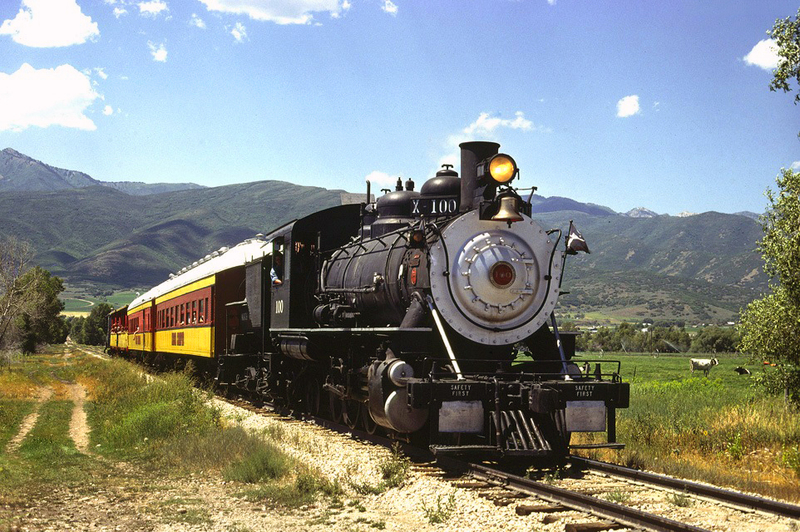 This tourist attraction is the state's most popular (and only) excursion; the current operation has utilized the former Denver & Rio Grande Western Provo-Heber City branch since the 1990s. Its trains are typically powered by steam although the pair of 2-8-0's on-site are presently undergoing either restoration or rebuild. As a result, diesels are currently being used. You will also want to visit one of the few railroad museums; its most notable is the Golden Spike National Historic Site at Promontory Summit (located about 52 miles northwest of Ogden), which memorializes and dedicates the completion of America's first transcontinental railroad in 1869. If you would like to learn more about the Transcontinental Railroad please click here. While this project defines Utah's rail heritage, Salt Lake City and Ogden later blossomed into important markets and interchange points for the Southern Pacific, Union Pacific, and Denver & Rio Grande Western. In his book, "The Routledge Historical Atlas Of The American Railroads," author and historian John F. Stover points out the state's rail mileage peaked at 2,161 miles in 1920. Today, the Association of American Railroads notes this number has declined to 1,386. 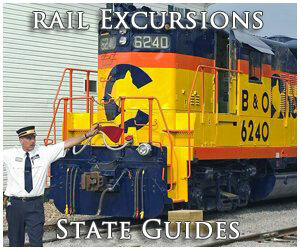 The information presented below highlights only Utah train rides and museums as tourist attractions. 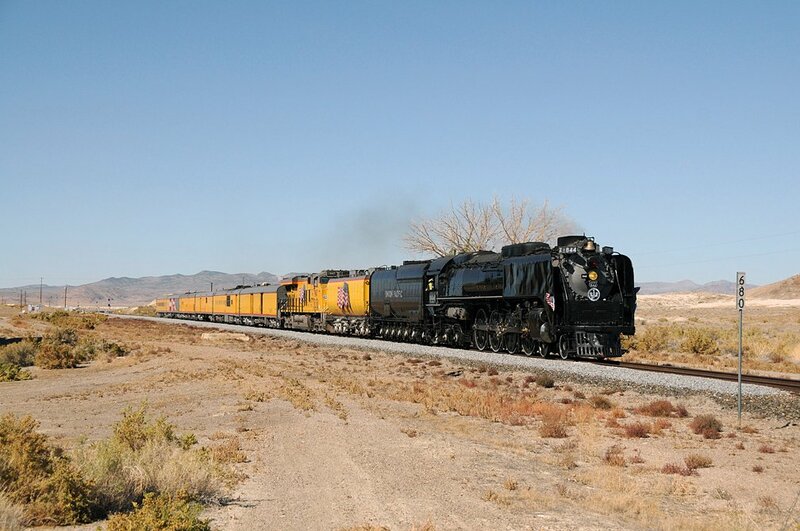 Utah is home to one of the greatest moments in American railroading. 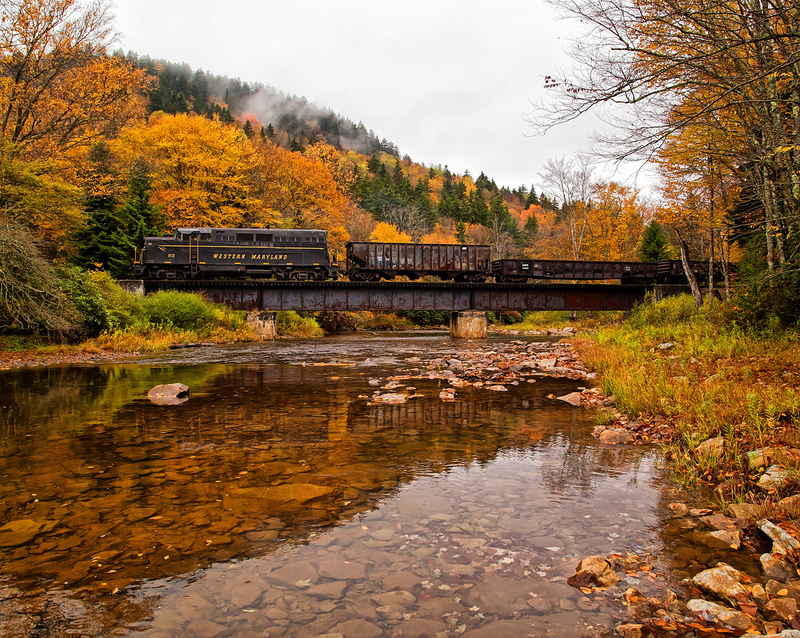 The event ranks alongside noteworthy achievements like the first established railroad in 1826 (Granite Railway/Massachusetts) and the first common-carrier's chartering in 1827 (Baltimore & Ohio/Maryland). On May 10, 1869 track crews of the Union Pacific and Central Pacific met at Promontory Summit, Utah during a grand ceremony. While the festivities formally signaled the project's completion, in reality the two railroads should have linked up months earlier. In an effort to procure further land grants, and additional federal aid, both companies continued grading new rights-of-way. It became so silly that in some cases crews were only feet apart from one another! Union Pacific's Greenville Dodge and Central Pacific's Collis Huntington finally met in Washington, D.C. on April 9, 1869 to end the charade and agreed the official meeting point would be Promontory Summit. Their resolution was further bolstered by President Ulysses S. Grant's decision to end the project's public subsidies. And, just like that, the Transcontinental Railroad's "Great Race" was over; Union Pacific was finished first, reaching Ogden (1,028 miles from Omaha) on March 7, 1869. The Central Pacific required another month of work but by April 17th had finished trackwork to Monument Point, just 20 miles west of Promontory Summit. The two railroads' grand ceremony and meeting was originally scheduled for May 8th but due to heavy rains in the Weber Canyon, Union Pacific's train was delayed. Several dignitaries were present for the event including Leland Stanford and James Harvey Strobridge (chief of construction) of Central Pacific and Greenville Dodge, Thomas Durant, John Duff (director), Sidney Dillon (director and head of the Crédit Mobilier), Samuel B. Reed, Herbert M. "Hub" Hoxie. Excluding the Transcontinental Railroad, Utah's first railroad was the Utah Central Railroad (UC). According to an in-depth analysis Trains Magazine published in its January, 2007 issue entitled, "Great Railroading: State-By-State," it was funded by Mormon leader Brigham Young. Groundbreaking began from Union Pacific's depot at Ogden, just seven days after the Promontory Summit festivities (May 17, 1869). The UC was projected to link Salt Lake City where it would serve as an important transportation artery for the new Mormon community (founded by Young in 1847). By August, 1869 fifteen miles had been graded while tracklaying began on September 22nd. Work continued through the fall and had reached Salt Lake City by early January, 1870. With transportation now established, Young allowed Union Pacific to acquire 5,300 of his original 7,600 share. Under UP control, the Utah Central became an important corridor that was later double-tracked and reached Southern California. The latter began as the San Pedro, Los Angeles & Salt Lake Railroad (SPLA&SL) incorporated in 1901 through several subsidiaries. Following a long battle with William Andrews Clark who wanted his own route to Salt Lake City, UP's Edward Harriman signed an agreement for a 50% interest in the SPLA&SL. On August 25, 1916 its name was changed to the Los Angeles & Salt Lake and on April 27, 1921 UP acquired full control. 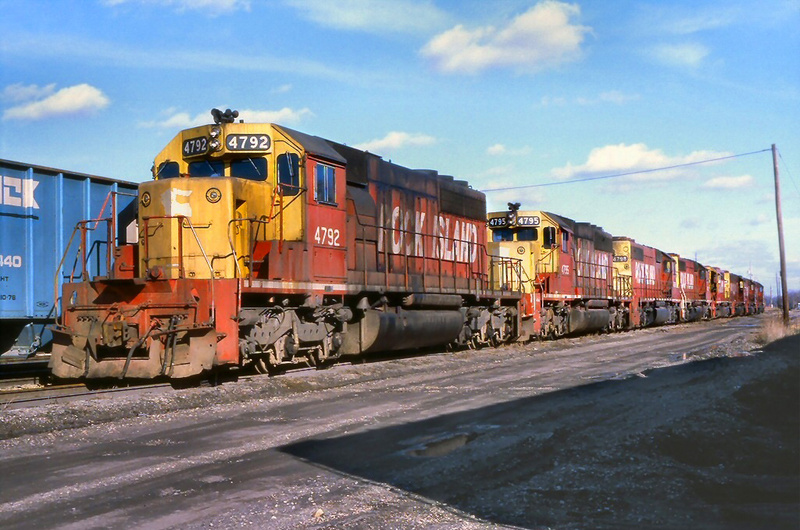 On January 1, 1936 these systems, and others, were formally consolidated into the railroad. Utah's last notable railroad was the Denver & Rio Grande Western Railroad (D&RGW), which reached Salt Lake City from Denver in 1882 under predecessor Denver & Rio Grande Western Railway. 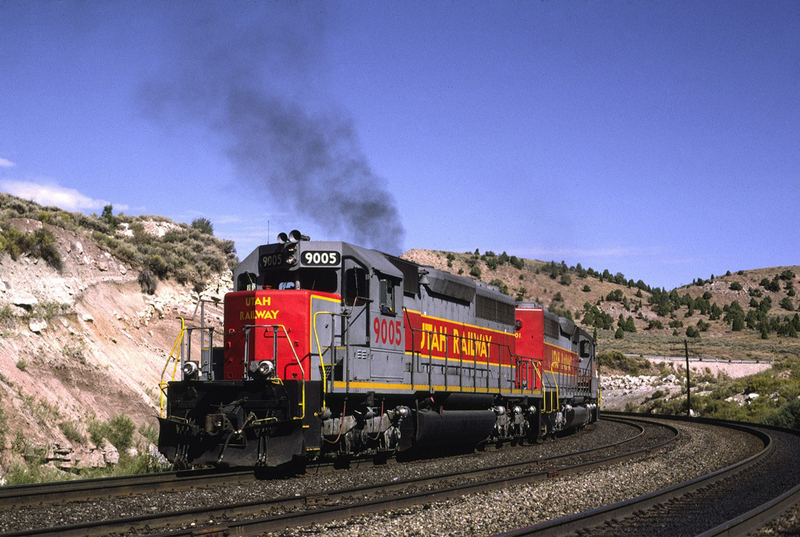 The D&RGW had substantial operations throughout central and eastern Utah; it not only reached Salt Lake City but also completed a connection to Ogden in 1883 (where interchange was established with Union Pacific/Southern Pacific) and maintained significant coal branches. To read more about the Rio Grande please click here. Located at Promontory Summit where the famous meeting occurred between the Central Pacific and Union Pacific this museum/visitor's center remembers the historic event and is open throughout much of the year. Utah's most popular excursion is the Heber Valley, which has utilized the Rio Grande's 28-mile Provo Canyon Branch (Heber City to Provo) since the 1990s. Its trains are usually steam powered using either a former Union Pacific or Great Western Railway of Colorado 2-8-0 (currently under restoration/overhaul). 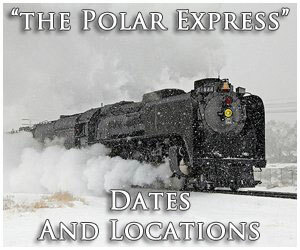 During the year the railroad plays host to special events, such as the North Pole Express which takes kids on a magical ride to see Santa aboard the train. This preserved building is the third to occupy the location, completed in 1924 and built in the Spanish Colonial Revival style. 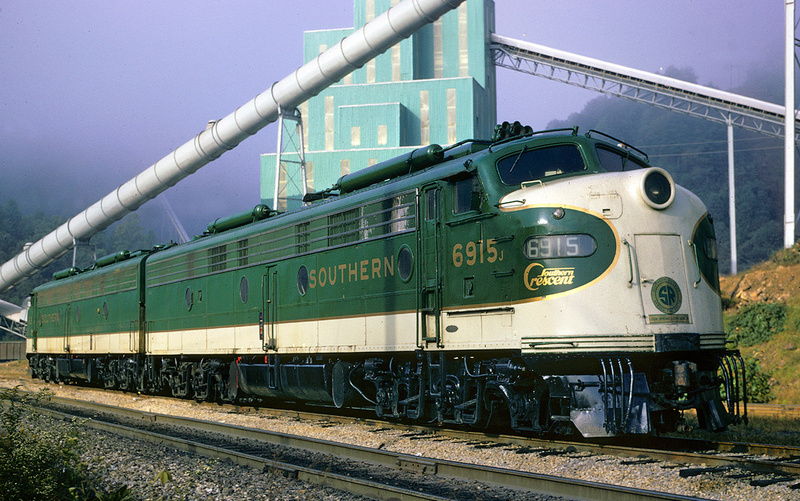 During rail travel's zenith it was served by Union Pacific, Southern Pacific, and the Rio Grande. Today, it houses a prominent museum with exhibits, events, and an art gallery open year-round. Based in Tooele within the restored brick depot built by the Tooele Valley Railway (1909) this museum highlights the area's history with mining and railroads (specifically the Tooele Valley). On the ground is preserved Tooele Valley Railway 2-8-0 #11, built by the American Locomotive Company in 1910. This museum is based in Helper, Utah within the preserved Old Helper Hotel built in 1913 - 1914. 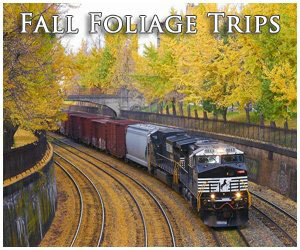 As its name implies the organization preserves the history of railroads and mining operations within the region.